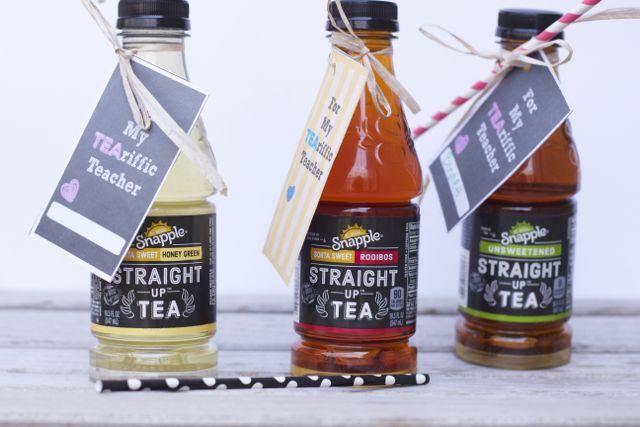 Kids around the US have started school and parents are going to back to school nights. Teachers have worked hard the weeks preceding the first days of school prepping their rooms and lesson plans. As parents we might be stressing about all the fall activities that arise with the start of school, we need to remember that children in Ethiopia can not attend school due to the time consuming task of fetching fresh water for their families . 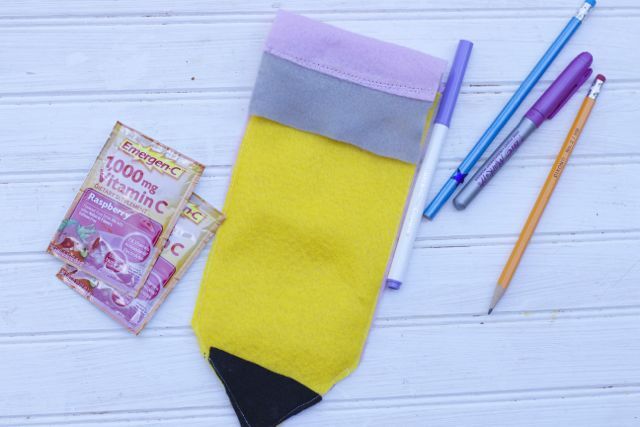 We will be talking about more ways to help support clean water initiative, but meanwhile why not surprise your hard working teachers with a little back to school teacher gift like this DIY Pencil pouch filled with a few treats to keep the school year on a good and healthy track. 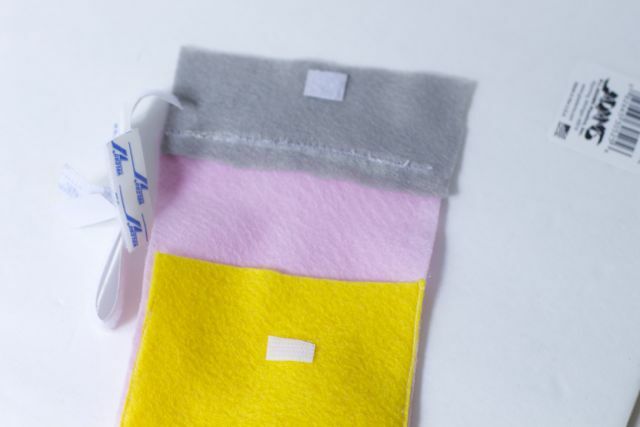 This DIY Pencil Pouch can be hand sewn or completed on a sewing machine. 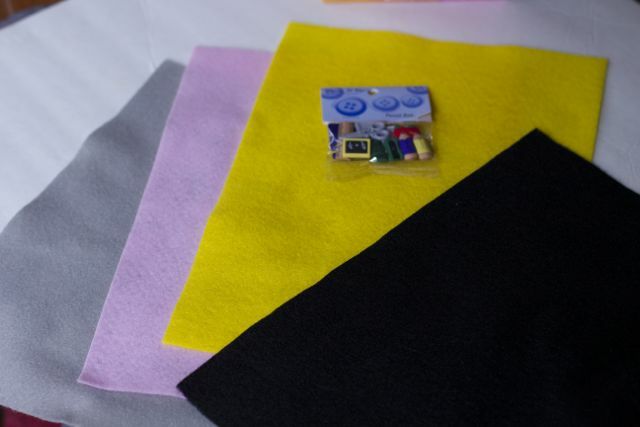 It is inexpensive to make as felt piece run about 30 cents each and you can make two out of one sheet. 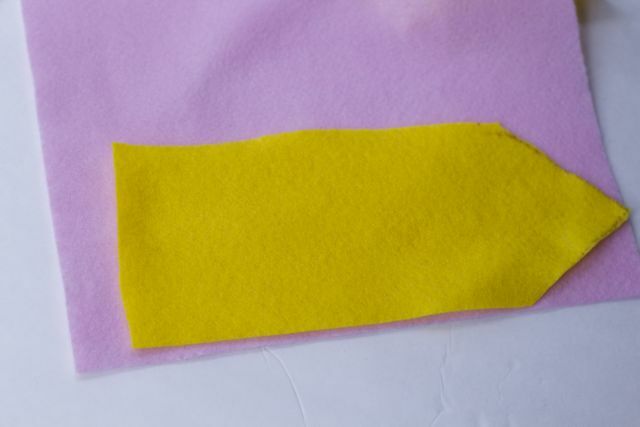 First cut the pink and yellow felt pieces into rectangles with a pointed bottom. 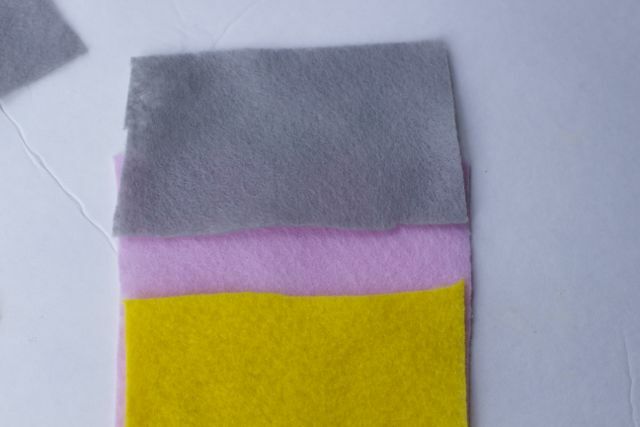 Attach a small piece of grey felt to the top of the pink felt piece. 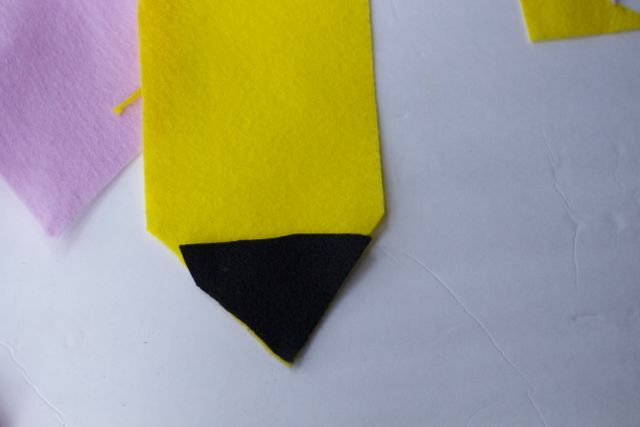 Cut the yellow piece slightly shorter to cover the pencils etc. 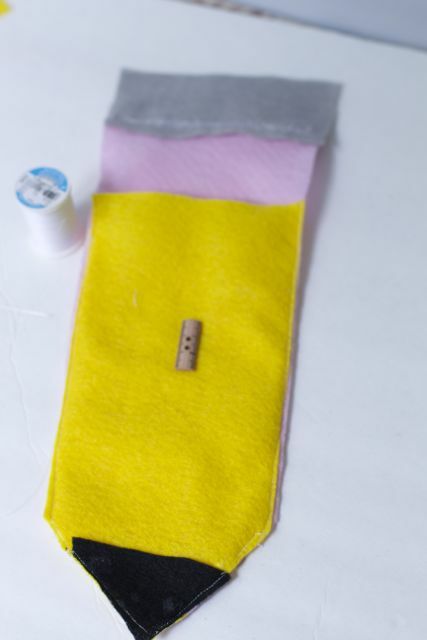 Next, attach a small pencil tip made out of the black felt. I tried using fabric glue but it did not stick on well. Maybe if you used felt glue it would be better. 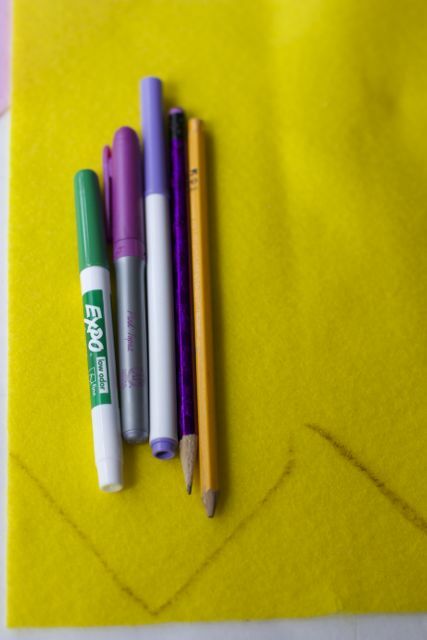 Carefully sew the sides of the pencil together. 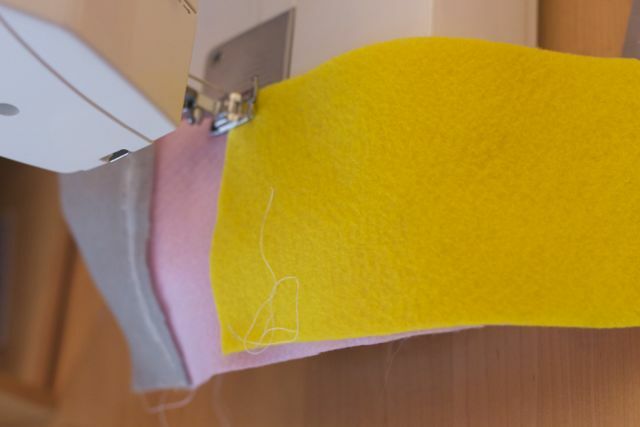 Attach a small piece of velcro to the longer side and the front of the pencil or you could also sew on a small button here. 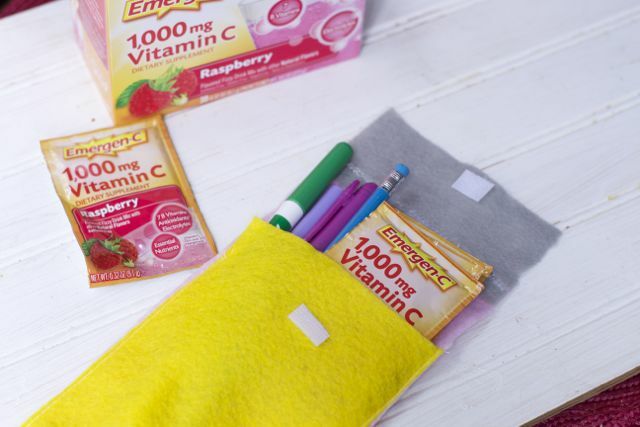 Fill the pencil pouch with all the necessary items for the back to school teacher gift, including Emergen-C to help give your teacher immune support throughout the year. 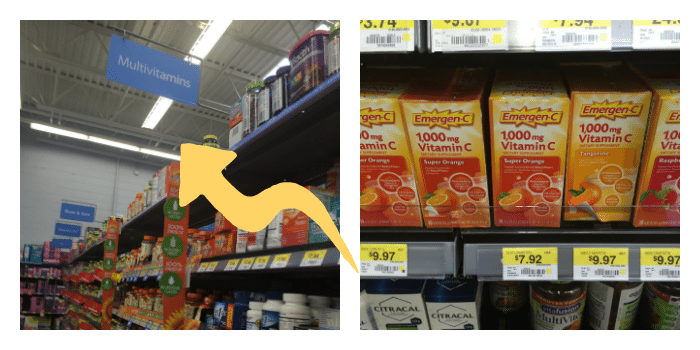 Emergen-C® is packed with B vitamins, antioxidants† , electrolytes plus more vitamin C than 10 oranges^. With over 20 flavors, you have plenty of delicious varieties to choose from.” † Zinc and Manganese ^Based on the USDA.gov nutrient database value for a large, raw orange. 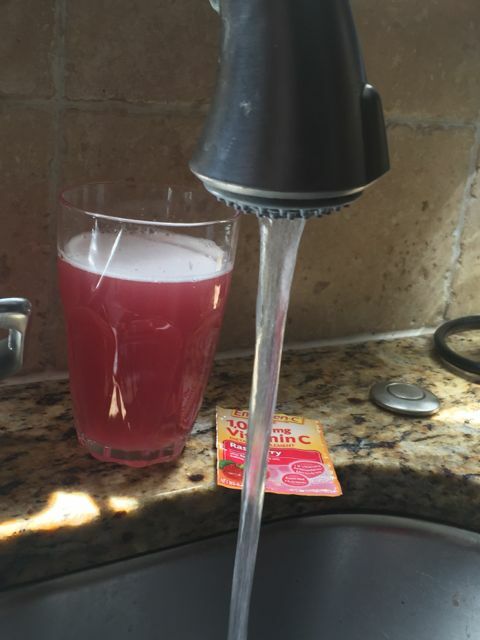 Did you know about Emergen-C Charity Water #40Pounds Challenge? Instead of back to school shopping and packing up for the school bus, kids in Ethiopia are not attending school due to carrying 40 pound jugs of water to their families instead. They do not have the luxury of running water in their homes that we take such advantage of. How can you help? Join the forces of Emergen-C Charity Water #40Pounds Challenge. It is simple and we all love taking photos for Instagram. Just as comparison, here is a photo of what my daughter gets to carry that weighs 40lbs, vs someone in an underdeveloped country. This child is carrying 40lbs of drinkable water back to her home and my kids will never have to experience this. 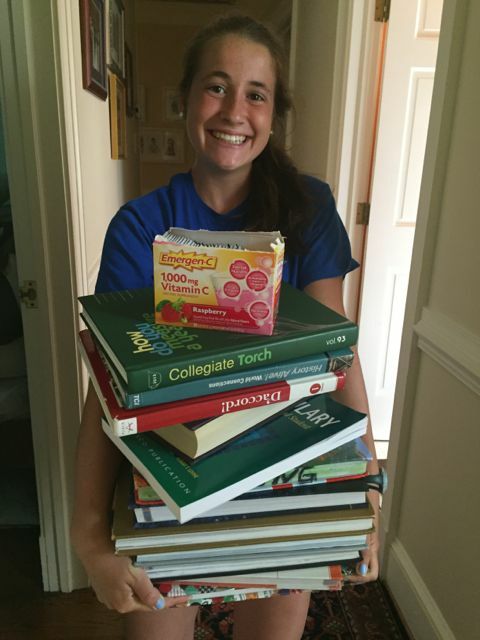 Having 40 pounds of school books is a privilege. For every #40Pounds Challenge picture uploaded to Instagram,through October 31st, Emergen-C will donate $5 to charity: water to help fund projects that bring clean, accessible water to communities in Ethiopia. What a win-win. 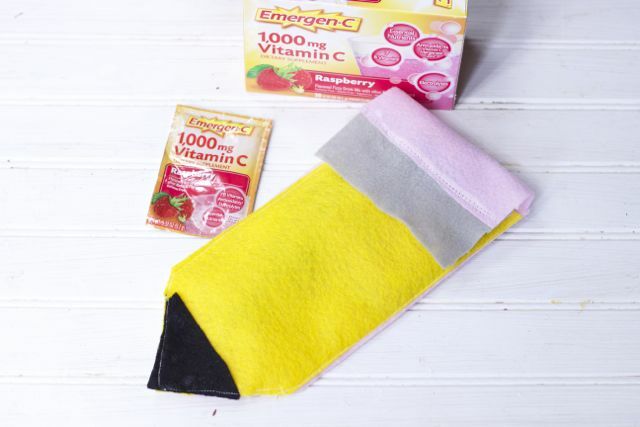 Go buy some Emergen-C today and participate in this great challenge. 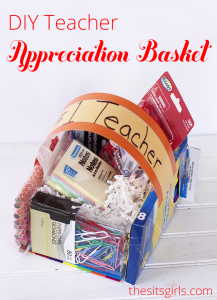 You can find everything you need for this great Back to School Teacher’s Gift at Walmart. This is beautiful – thank you. And the pencil pouch is awesome. I think any teacher would be lucky to receive it. 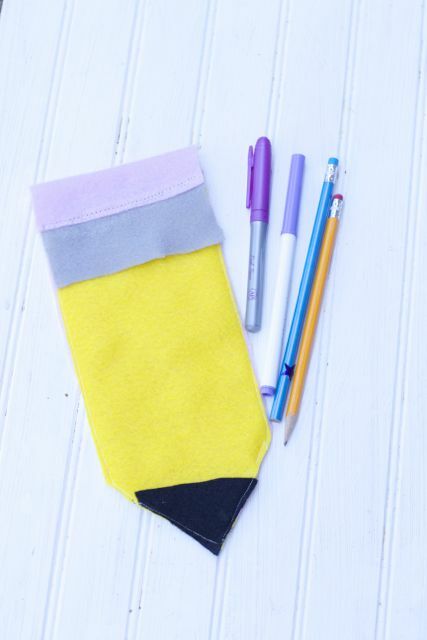 Aww, this pencil pouch rocks! What a fun project! 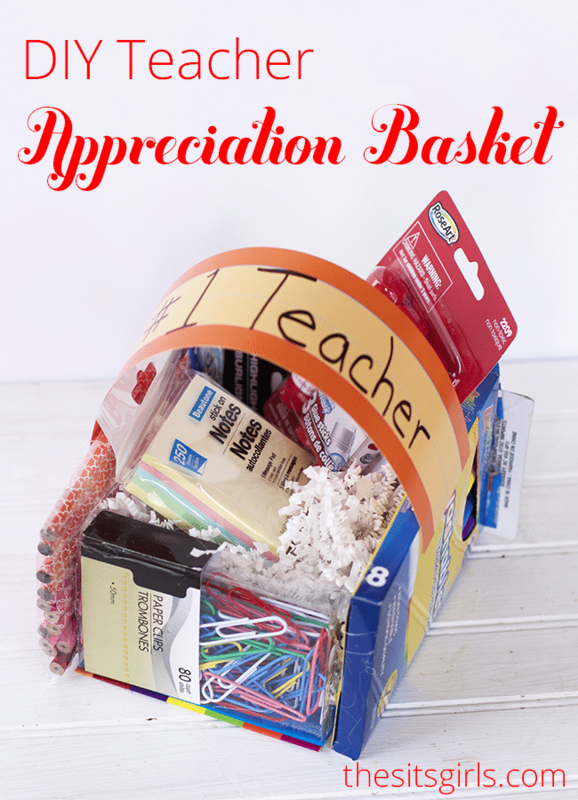 This is a wonderful teacher gift. That pouch is adorable and perfect as gift! I agree with the vitamin c we always load up on it for back to school and everyone starts to get the sniffles. Emergenc is our favorite! That is the cutest pencil box ever. I like DIY projects they are the best. That’s such a creative teacher’s gift and pretty simple too. I love the challenge to raise money/awareness too. I’ll have to try to convince my kids to let me take picture of them to post to Instagram. 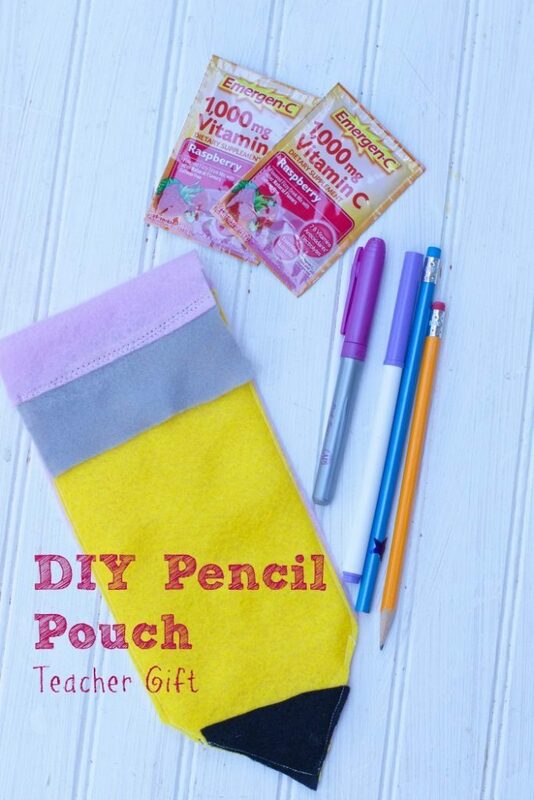 Super cute pencil pouch! I think these would be a fun idea to make for our Christmas shoe boxes this year. I totally get you on the vitamin c… since the kids went back it’s been cold after cold over here. UGH! !